Pages to download music on demand are getting harder and harder to find. However, whoever still doesn't want to pay an online music streaming flat rates like those offered by Deezer, Spotify or Apple Music, can resort to YouTube as a reliable alternative thanks to the apps available to download videos and songs. 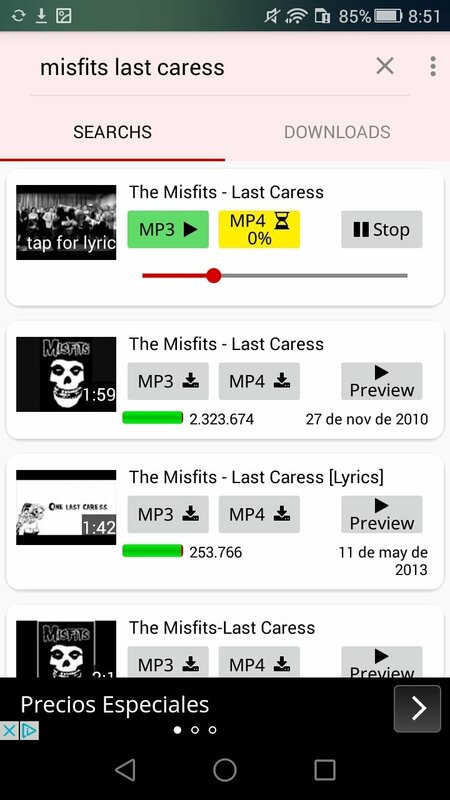 There are loads of examples such as aTube Catcher for PC or TubeMate for Android. And precisely on this mobile operating system, we can also make use of YT3 Music Downloader. It's basically a client to download videos from YouTube that allows you to browse the portal's contents, being able to search for any video hosted on the latter. Once you've found what you're looking for, it offers you the possibility of getting hold of the file, whether in MP3 audio format or in MP4 video format. 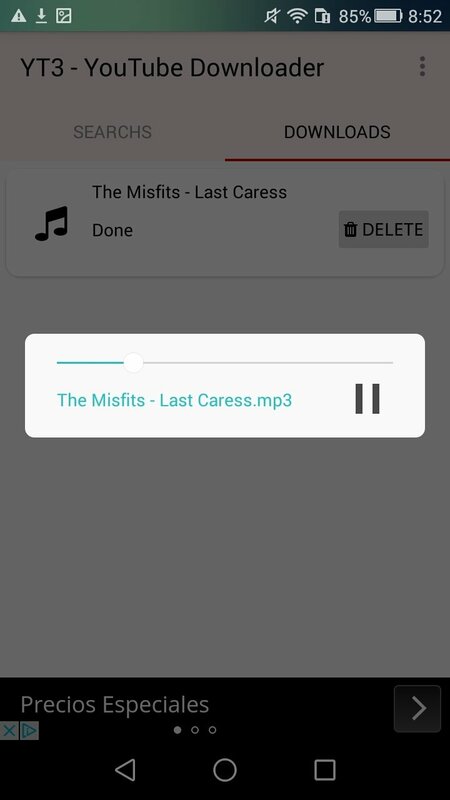 Furthermore, it also incorporates a built-in player that allows you to preview the video before deciding whether to download it or not. The truth is that this YouTube downloader stands out for its usability as it comes along with a very simple interface and a great design, unlike other options that are very often full of stupid adverts. 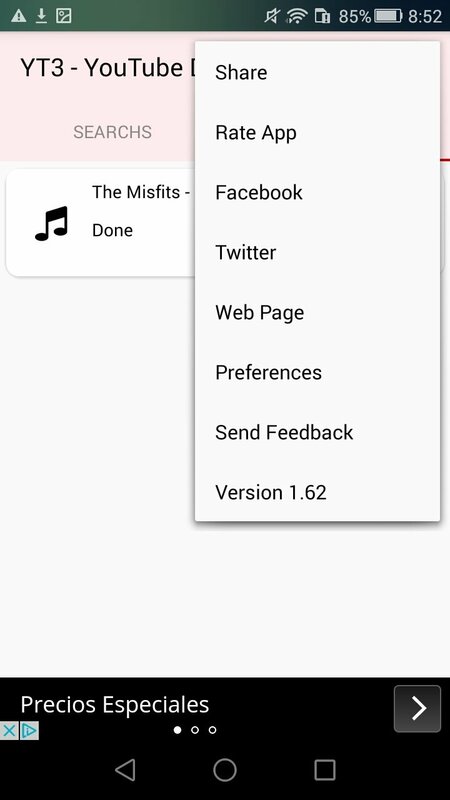 In fact, the interface is split into two separate areas: one to search, and the other to manage downloads. Another noteworthy aspect can be found in the results returned which are always very compliant to the terms and keywords introduced. One of the best apps to download songs. Download videos and music from YouTube. Great search engine: find exactly what you're looking for. High-quality of images and sounds. Share your videos with the contacts of your choice. However, to install the APK of this application, you'll have to go to Settings and enable the installation of apps from Unknown Sources. That's because this kind of app can't be found on Google Play because the company understands that it infringes certain copyright laws. Furthermore, Google owns YouTube so they don't want us to download those videos. 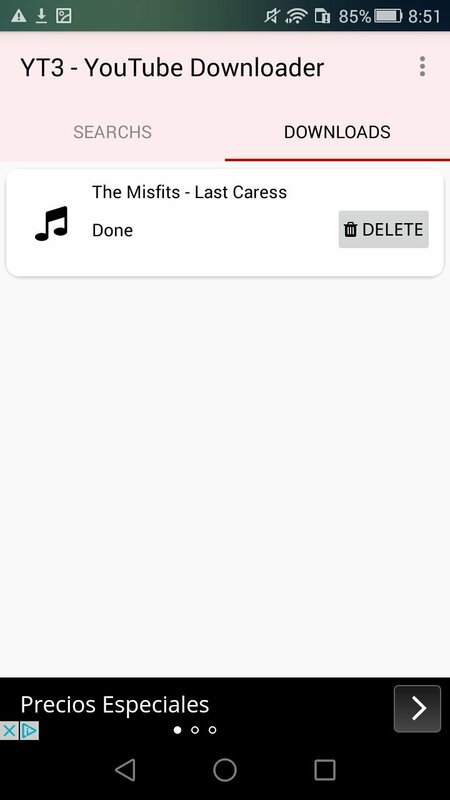 We have to admit that it's a decent application for these purposes although we do miss a few more functions, such as being able to download entire playlists, for instance.